A business trip unrelated to beer took me out to the Hillsdale area the other day. 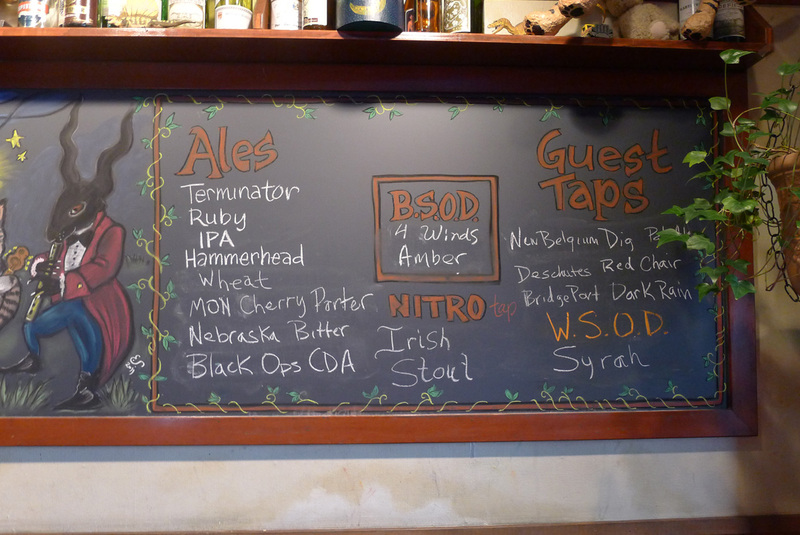 There aren't many important beer destinations on the west side, but McMenamin's Hillsdale Brewpub is on the list. Perfect chance for a stopover, I figured. For the unknowing, the Hillsdale Brewery and Public House opened in 1985. It was then the first brewpub in Oregon, the result of a law that allowed pubs to brew beer and sell it on premise. The law, which has been revised in various ways since 1985, launched a revolution in Oregon that continues to this day. 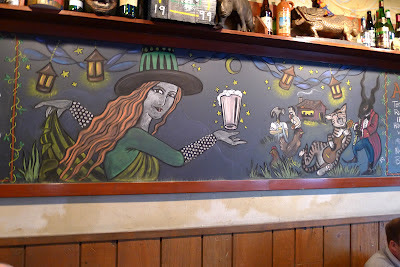 McMenamin's artwork is always delightful. Today, Mike and Brian McMenamin operate more than 50 pubs, breweries and hotels in Oregon and Washington. They have received considerable and well-deserved recognition for their role in transforming historic buildings into pubs, theaters, hotels, etc. It is an amazing story. Simply put, beer is not the most important aspect of McMenamin's business. They have a drinkable collection of standards like Hammerhead, Terminator, Crystal and Ruby, along with revolving seasonals that are decent. But they have not pushed the brewing envelope like many of the other breweries around Portland. On my visit the other day, they were pouring a seasonal called Black Ops CDA. Everyone has a CDA these days. Some aren't good. But Black Ops is very nice. Full bodied and tasty, yet smooth. I was impressed. I had a Hammerhead with my lunch because I've always liked it. But the Black Ops would have gone nicely with my curried tuna sandwich. Enough said. The big board at Hillsdale the other day. The thing is, McMenamin's occupies an seminal place in the history of Portland's craft beer culture. While they may not be especially well-known for their beers, their pubs were essential to the sustained growth of the craft beer movement. Why? Because they were everywhere...and you always knew you would find decent craft beer there. Back in the early nineties, we often wanted to tip some pints after an evening of racquetball, an afternoon of softball or a day in the yard. When we did, the closest McMenamin's was usually the consensus choice. And it usually wasn't far away. Things have changed today. There are many options out there, some of them flashy or fancy. 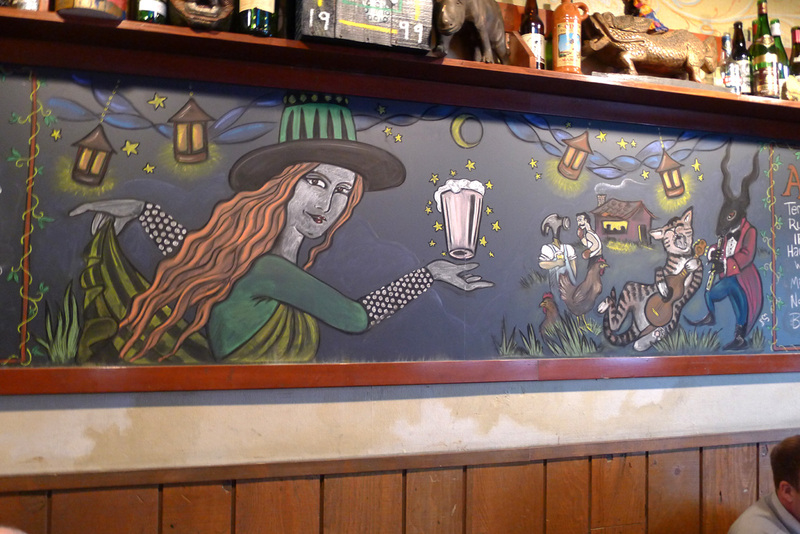 For its part, McMenamin's keeps chugging along, doing essentially what they've always done. Good for them.